! [Currency field Configuration Interface. ][filtro_cons_moeda] Currency field Configuration Interface. Data Type : Define the type of field for the application. When set to Currency, you can currency values to the field.
! [Currency Field Behavior Interface of the Search Configuration. ][filtro_cons_moeda_filtro] Currency Field Behavior Interface of the Search Configuration. Amount of characters : Sets the amount of characters to start the search. Amount of rows : Sets the maximum number of rows to list the search result. Width : Sets the width in pixels for the result box. Search options : Defines the validation that will be made to fetch the search result.
! [Currency Field Format of Values with Regional Settings. ][filtro_cons_moeda_format] Currency Field Format of Values with Regional Settings. 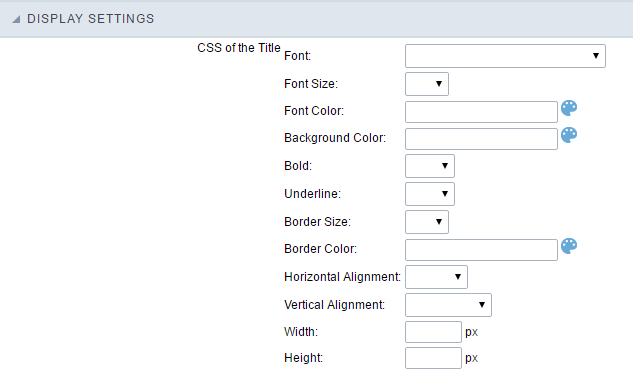 Regional Settings : Allows to apply the Regional Settings to format the number of the field. When not enabled, the attributes Digit Grouping Separator, Decimal Separator.